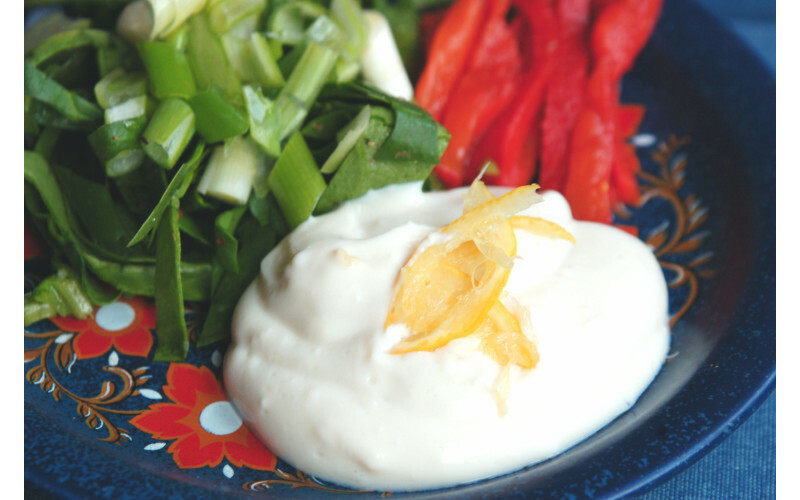 It only takes three minutes or so - all you need is a food processor or blender to make a delicious vegan mayo. It is much cheaper than buying it in a jar and is also better for those of you on a reduced or low-fat diet. Silken tofu is sold in large branches of most supermarkets, or find it in health food shops and Oriental grocers. Brands to look out for include Mori-nu; Blue Dragon; Clearspring - sold in long-life cartons - or Taifun's fresh silken tofu. Oriental grocers (eg Chinese or Korean) also sell competitively priced and great quality silken tofu in the fridge. Look for brands like Unicurd or Pulmone- some are organic, most are non-GM. 1. Drain the tofu in a sieve or colander. 2. If you have a high speed blender, eg Nutribullet/Ninja, place all the ingredients in the cup and whizz until smooth. 3. If using a regular blender or processor, blend the silken tofu first, until completely smooth. Halfway through blending, use a spatula to scrape down the sides and integrate any lumps. Blend again, making sure the tofu has lost its grainy texture and is smooth and shiny. Add the lemon juice/cider vinegar, salt, sweetener and mustard. Blend again then add the oil last. 4. Store in an airtight container in the fridge. It will keep for several days. Mix it up with a spoon if it starts to separate.